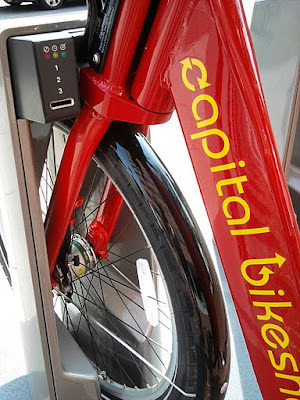 I finally got around to trying out the new Capital Bikeshare -- the largest bike-sharing program in the nation -- and it exceeded my expectations. 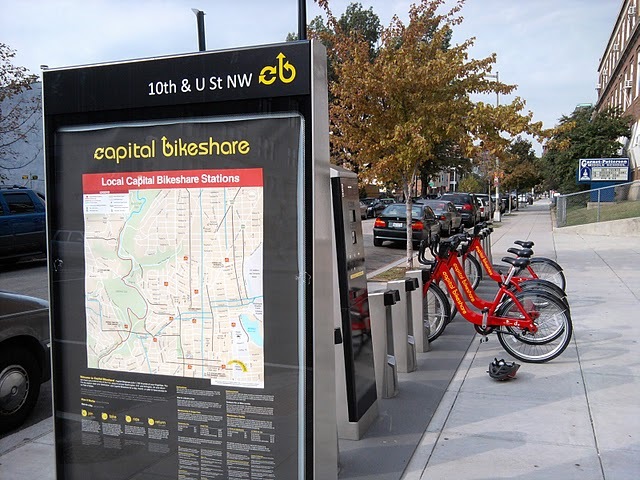 The compactness of D.C. and plentiful bike lanes provides an environment conducive to bicycling short distances, which is exactly what CB is set up to do. Before the trip I checked out the Bike Station Map website, which provides real-time information on exactly how many bikes and docks are available at each station. I found out that the closest station to me was at 13th St. and New York Avenue and that there were two bikes available. I grabbed my helmet (CB doesn't provide helmets but encourages riders to wear them) and walked over to the bike station location. Sure enough there were two bikes waiting for me. I slid the small key card provided to me when I became a member and waited a few seconds until the green light turned on, indicating the bike was unlocked from the dock. 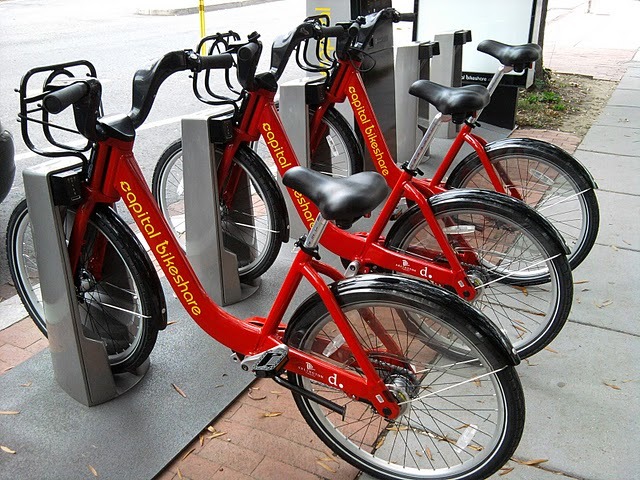 The shiny red bikes are very visible to cars and pedestrians. They are also heavy and sturdy to withstand the beatings they take riding around the city. The unique design, color scheme and weight also discourage any would-be bike robbers. There are three gears so obviously CB bikes are not meant for speed or going up big hills. They are meant for short distance commuting at cruising speeds. 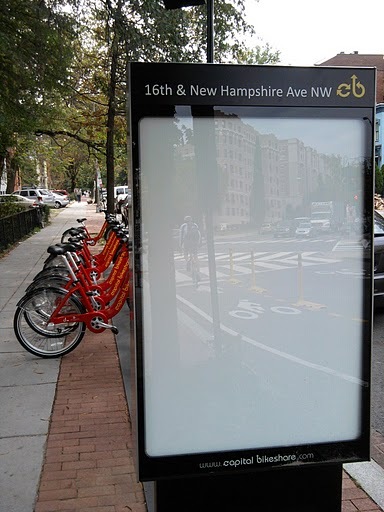 I hooked up with the bike lane at Thomas Circle and continued on the bike lane that runs along the revitalized 14th Street Corridor to the bike station at 16th and New Hampshire Avenue, which I knew had plenty of available docks from looking at the Bike Station Map App on my Droid Smart Phone. 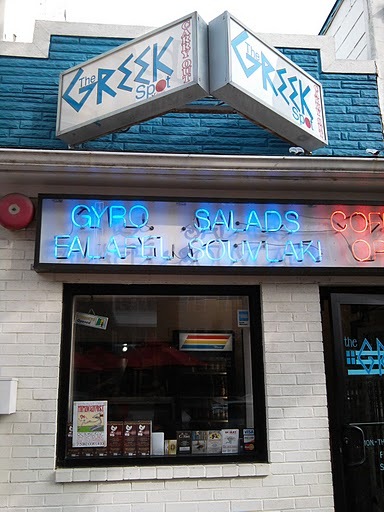 After locking the bike into the dock, I walked down the historic U Street Corridor all the way to the 9:30 Club at 9th and V where I briefly worked during my senior year at George Mason University some eleven years ago. I then had probably the tastiest Gyro I've ever had at The Greek Spot on 11th, just off U. Then it was back to downtown so I grabbed another bike at the 10th and U Bike Station and biked down U Street to 14th Street and finally returned to the original bike station at 13th and New York Ave. The round trip was about 3 miles and was an overall positive experience. CB has the potential to transform the Nation's Capital into the most bike-friendly city in the country. As word spreads about how convenient and easy it is, more people will give it a try and CB should grow exponentially. One suggestion would be to add more bike stations downtown and expand CB to parts of Northern Virginia such as the Rosslyn-Ballston Metro Orange Line Corridor, Old Town Alexandria and even Tysons Corner. 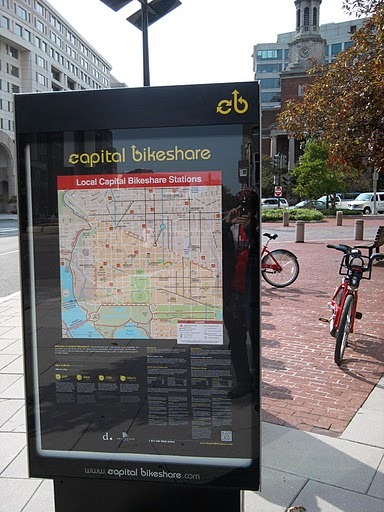 And also install bike stations in Bethesda, Silver Spring, College Park, Rockville and other urban areas in Maryland.